Sometimes Miss L. and Mr. Hoff like to get in on the craft action too! It took all three of us to get her cute little snowman footprints perfectly imprinted on some canvases the other day. 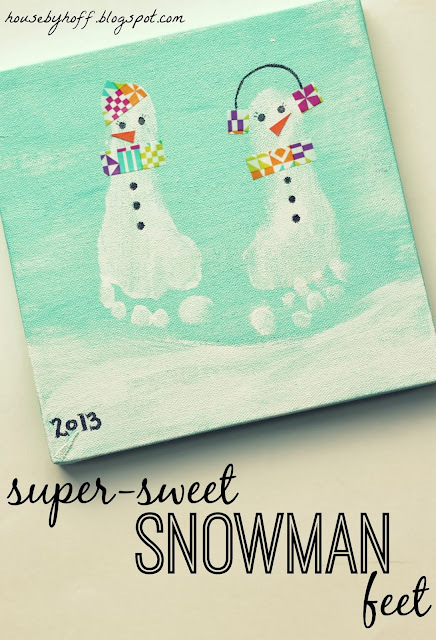 These little snowman feet will be her gift to family members this Christmas! She giggled, and told us, “It tickles!” while I painted some white paint on her feet…she was so excited to be making something! 1) Dab your kiddo’s painted foot on a piece of paper to remove excess paint before dabbing it on the canvas. 2) After you make the footprint, use a 1.2″ brush to fill it in and make it look a little more “fat”. I also fill in the toes a little more so that you can really see them…they are the cutest part! adorable! 🙂 such a cute pic of lily! I am partial to that pic too! My coworker suggested giving it as part of her footprint gift…I thought that was such a great idea! 🙂 Have a great weekend, Jen! oh you totally should!!! linking this up to today’s blog post! Ohhhh what tiny little feet- so adorable April 🙂 Love this!! Thanks, Mandy! I could kiss those little feet 24/7! How darling! What a great idea! 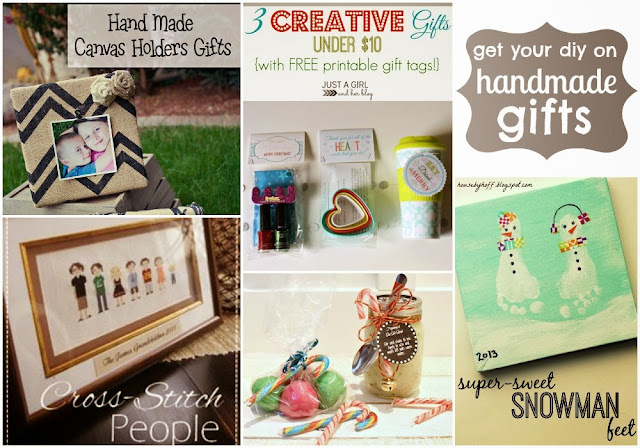 These are so cute April, and are an awesome gift idea! Pinning! So, so cute!! Look at those adorable little toes! I’m sure the recipients will just love it! Thanks for sharing, April! This is so cute! Another good use for canvas and washi tape! How absolutely darling is this?? Can’t wait to share!! This is adorable, and what a cute gift for family. I’m pinning this, thanks for sharing. Oh my this is so sweet! It makes me miss my days of teaching kindergarten ~ 24 pairs of tiny painted feet in the classroom! I love your snow couple idea, fabulous! Pinning! 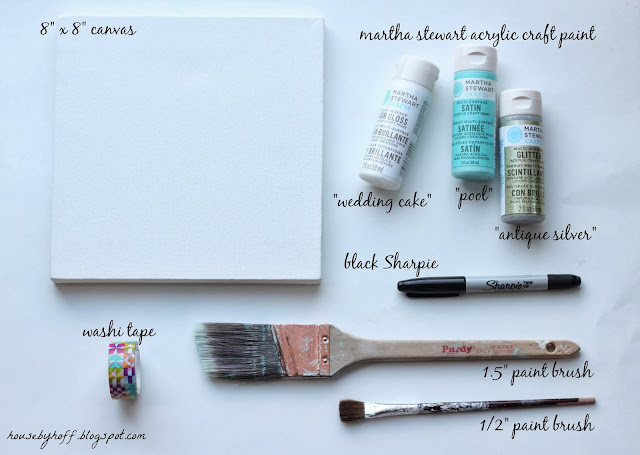 I understand how this is made but I know that you painted your canvas the “pool” color. and you use the “wedding cake” color for the snow and the feet…but What did you use the “pearl Antique silk” color for? from the photo there doesn’t look like any “pink” on the painting…..how did you use the “antique Silk” ? Thanks. The “antique silver” is a glitter. I brushed it over the whole thing to make the snow look glittery. I’m not sure what antique silk or pink you’re referring to? Hope that answers your question! Thank you …I have Antique silk….not Silver…I purchased the wrong thing…The Antique Silk has a “pink” tone and I couldn’t make it fit to the project. Will have to purchase Antique Silver. Thanks for your help. What purpose does the antique silver serve? I mixed it with the white at the bottem but didn’t really see a difference. Love this! What did you use to make the nose?